It’s been 23 years since a White House staffer’s mysterious death, charges of corruption and rumors about the president led to a special prosecutor’s appointment. That was Whitewater in 1994, and that special prosecutor was Darien resident Robert Fiske Jr. But Fiske’s illustrious legal career dealt with much more: Three Mile Island, the Americas Cup, drug lords and yes, even doing legal battle with Donald Trump. 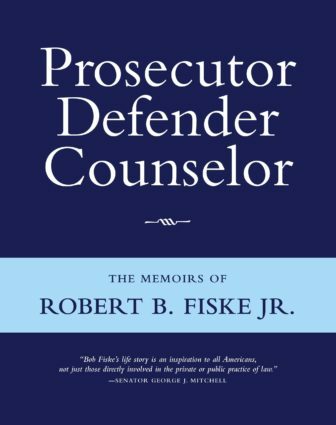 It’s all detailed in his 2014 book, Prosecutor, Defender, Counselor: The Memoirs of Robert B Fiske Jr.
Fiske is also a former member of the Darien Police Commission. 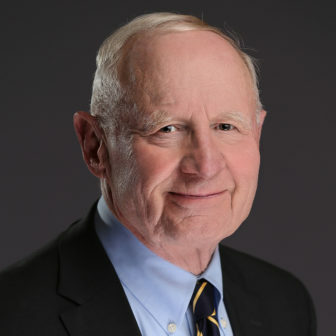 Now Fiske will tell his own story — and answer questions — at 7 p.m., Wednesday Nov. 1 in the Youth & Community Center at St Luke’s Parish, 1864 Boston Post Road in Darien. The event is free and open to the public. A wine and cheese reception will follow.